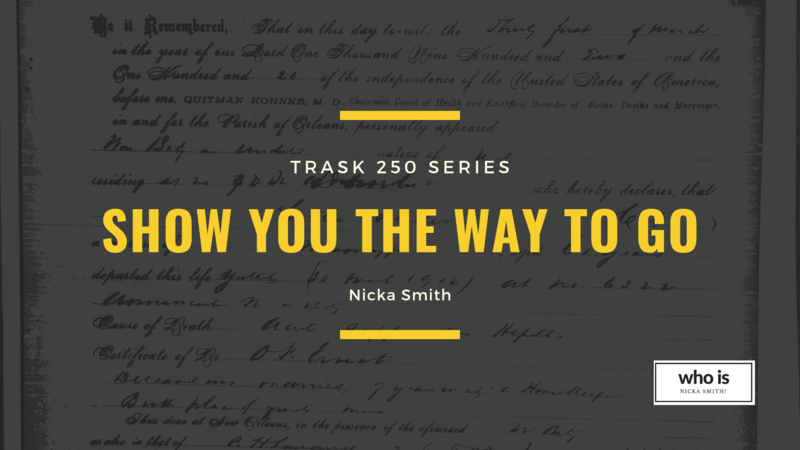 Trask 250 - Show You the Way to Go - who is nicka smith? 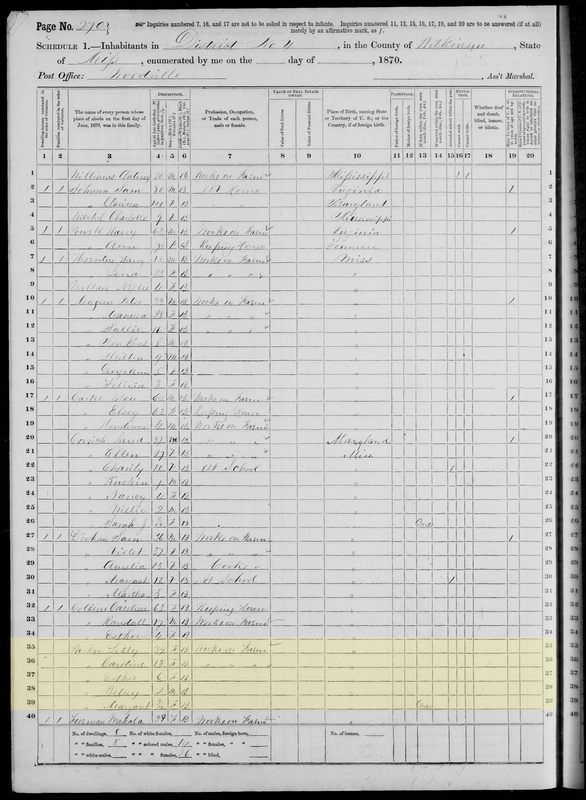 This post is part of the Trask 250 series which documents the lives of more than 250 formerly enslaved of the Trask and Ventress families of Louisiana and Mississippi. This post is also available as a podcast. It was October 2014, and I was up late, as usual, scanning my DNA matches, trying to figure out how they were related to me. As the night hours wore on, I received a message from someone. After a short review of what I had in my tree, I saw I had previously identified and added a group of DNA cousins who were related through my great grandfather, James “Honey” Benjamin Sewell, Sr. who hailed from Concordia Parish, LA. (I did this using the proxy method I discuss in my webinar “The Family DNA Project.” We’ll call them the Cador/Haynes group. have Sago Haynes/Haines and his wife Rose Hawkins as their most recent common ancestors. Sago and Rose’s daughter, Mary Frances, was the Francis referenced in the message from CHC above. The family is well documented in Pointe Coupee Parish, LA. I tried hard to find where the connection was myself, and it wasn’t obvious at first. 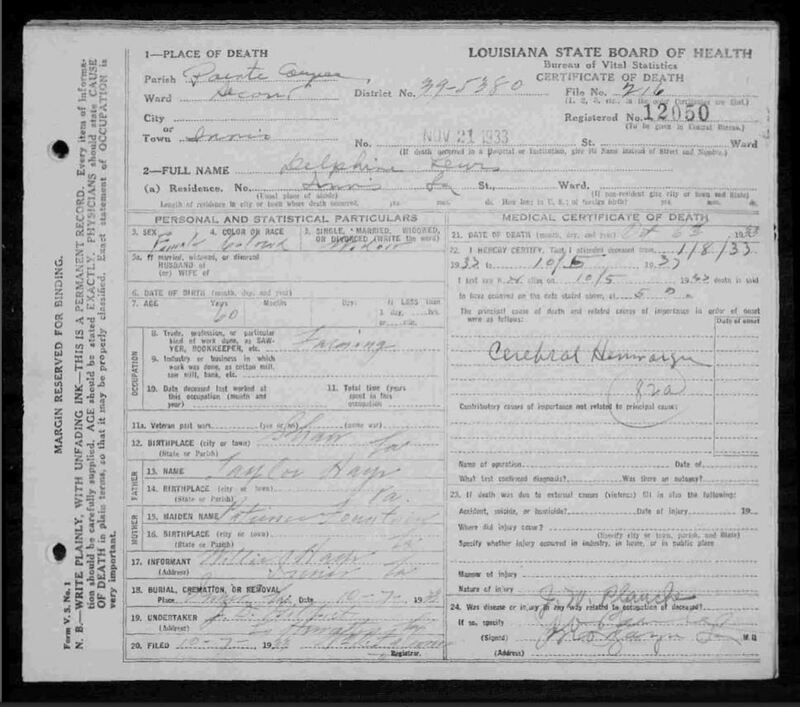 Sago and Rose lived in Pointe Coupee Parish while Honey and his family lived lived in Concordia and later Orleans. These places were more than 95 miles apart. Not super far, but not close. I didn’t have any Haynes’ in my tree and the Cador/Haynes group had no Sewells, Parkers, Williams, or anything else in theirs. Yet, there was upwards of 91cM worth of DNA shared among people in the larger group. There was a definite connection, but where exactly was it? I went back to the seminal documents that aided me in my identification of Honey’s origins like vital records and the census. They were all I had to go on since everyone in my immediate family on this side is dead. Easter’s death certificate noted her own birth on May 15, 1857 in Louisiana, that her mother’s name was Lettie Fountain, born in Mississippi, and that her father’s name was Daniel Parker, with an unknown birthplace. 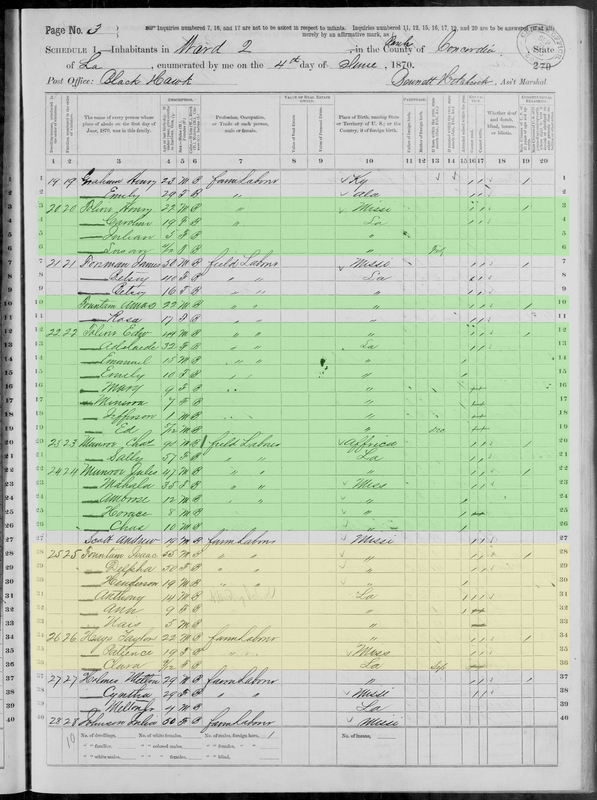 I had tracked Easter and her mother Lettie to the 1880 Census living in Concordia Parish, but had hit a roadblock finding them in 1870. I was certain they were definitely living at the time. I kept corresponding with CHC and he appeared to find Lettie and Easter, 68 miles and across the Mississippi River from Concordia Parish in Wilkinson County, MS in 1870. They were listed under the surname Parker. I was SUPER skeptical of this. How in the world would they have been that far away? But the details on Easter’s death certificate supported that it wasn’t out of the cards for them to live in Mississippi at some point; her mother Lettie was born there. But could Easter have been born in Louisiana in 1857, moved to Mississippi by 1870, and then moved back to Louisiana by 1880? It was possible since all the locations within those states were neighboring and she had a history of doing so later in her life. I took a closer look at Lettie and Easter’s record on the 1880 US Census. There were several folks with the surname Fountain living near them. My theory was that if I traced those other Fountains, I could potentially confirm if the Lettie and Easter in Wilkinson County, MS were my 3x and 2x great grandmothers and I could potentially find out Lettie’s origins. 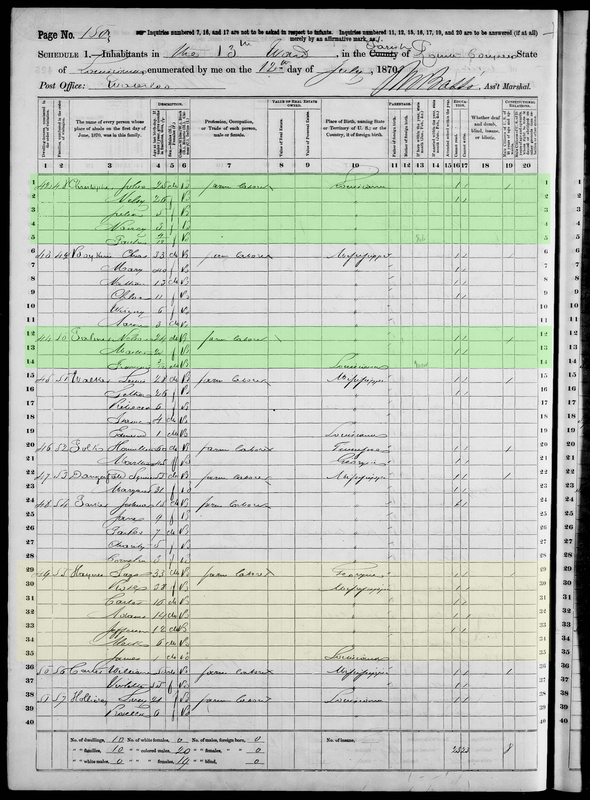 Henderson Fountain, born about 1850, was enumerated a couple doors down from Lettie and Easter on the 1880 Census. I didn’t find Lettie and Easter anywhere near him when I traced him back to 1870, but I did find Henderson documented with his parents, Isaac Fountain, born about 1815 in Mississippi and Delpha Fountain, born about 1820 also in Mississippi. 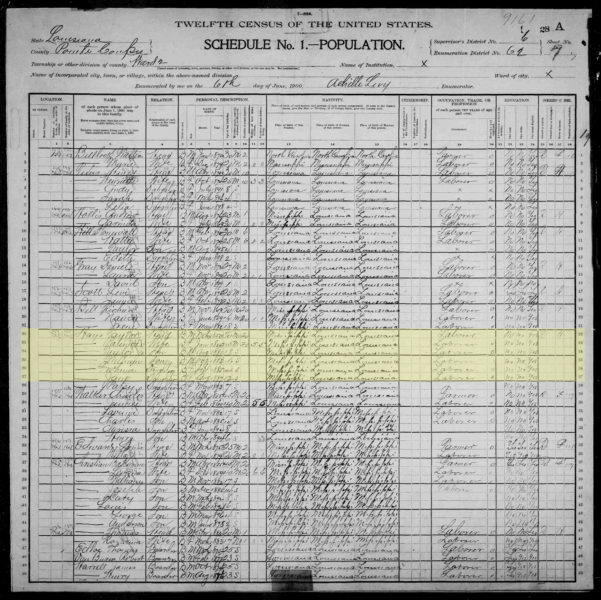 Could Isaac have been Lettie’s father? He sure was old enough to be, but I had no strong leads other than name recognition with these Fountains. They were living so close to my known family members in 1880 and were still in Concordia in 1870, but my family was noticeably not there. 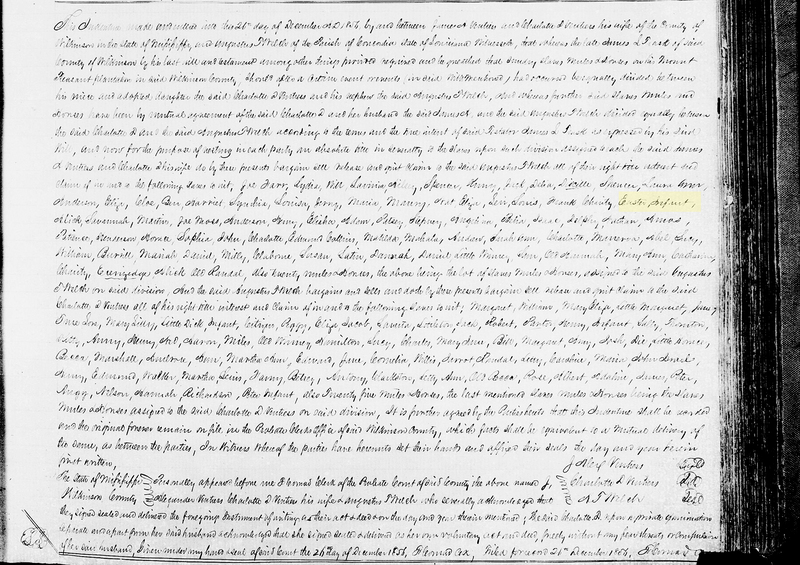 The 1870 record in Wilkinson County didn’t seem so far fetched anymore. Henderson had a sister named Patience who was enumerated next to their family in 1870 with her husband, Taylor Hays, in Concordia Parish. Hays and Haynes. Hmm, those names are sure close. In 1900, Patience and Taylor was enumerated a couple doors down from Lettie and Easter on the 1880 Census., the same place that the Cador/Haynes group is still living to this day. These were the second and third clues clue, but I still needed more. 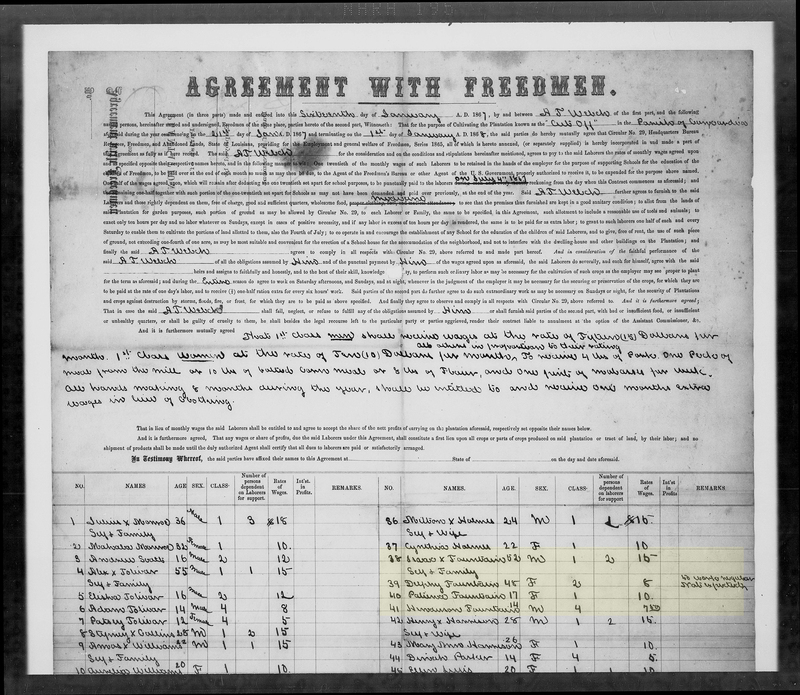 Then, I found a Freedmens Bureau labor contract dated January 16, 1867 between Isaac, Delpha, their children, and others and a planter named A.T. Welch. A.T. Welch was Augustus Trask Welch, a slaveholder in Concordia Parish. 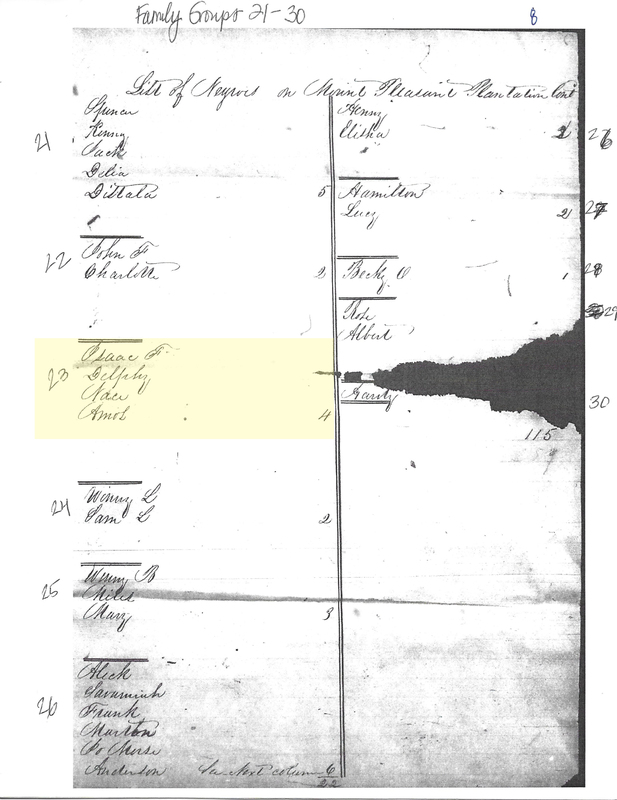 A.T.’s appearance on the labor contract ensured that he had not died prior to the Civil War, so this meant that I needed to take a trip through his family tree to unearth family members who did, in hopes of unearthing probate/succession documents that list the names of the enslaved. It was through the process of doing this that I discovered A.T.’s ties to Wilkinson County, MS, the same location that my DNA cousin thought he found Lettie and Easter in the 1870, and ties to Pointe Coupee Parish, LA, These were the fourth and the fifth clues. A.T.’s maternal uncle, James Lawrence Trask, was the first person I searched and it was a smart choice. He was the key! 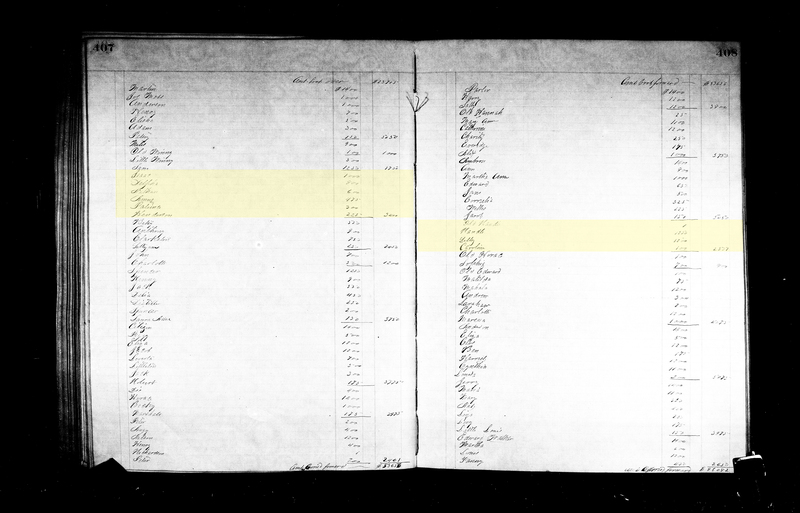 Upon finding the estate paperwork for James Lawrence Trask from 1855 and 1856 and associated documents, I located not only Lettie, but Easter, Isaac, Delpha and their children, along with Sago, his parents. There were more than 250 people in total. Soon, I noticed a pattern. 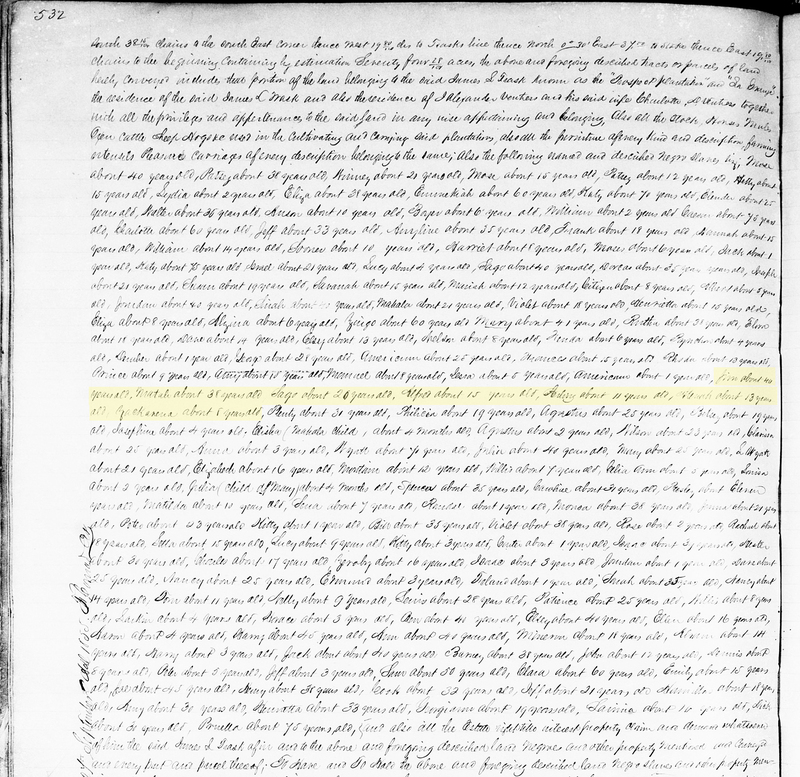 The ancestors of DNA matches that the Cador/Haynes Group shared with Lettie and Easter’s descendants were also documented on the probate documents of James Lawrence Trask. 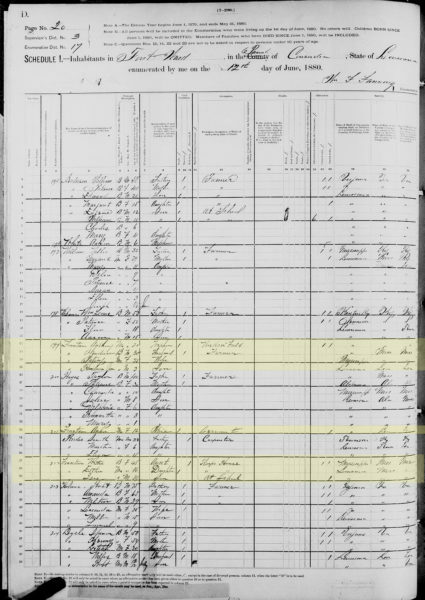 The Lettie and Easter that Cousin CHC found on the 1870 Census in Wilkinson County were my Lettie and Easter as they were living next door and among several census pages of the formerly enslaved of the Trask family. 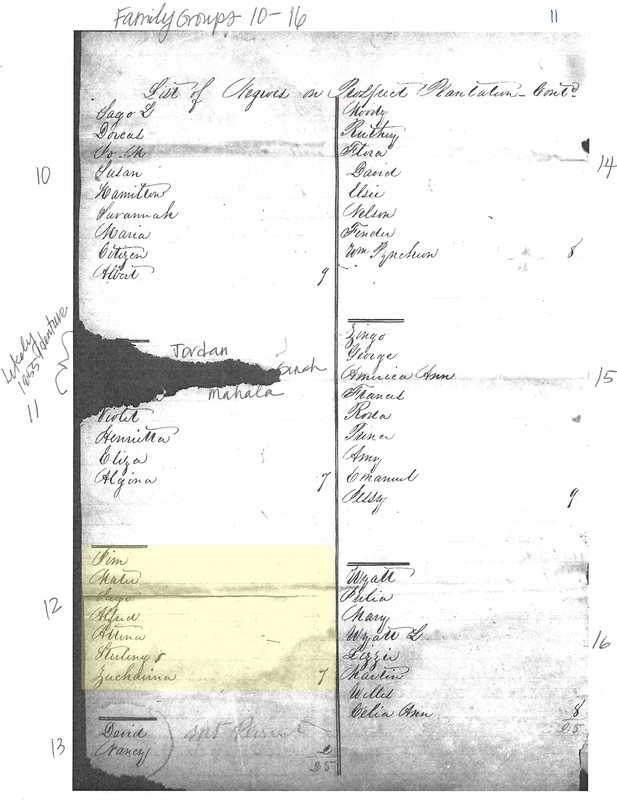 As I peered through census after census, going even until 1940, the names of the enslaved on the probate documents were all repeated, household by household, completely untouched by time, but now, they were free. The enslaved community of more than 250 people had lived together and not a single one of them was sold off for more than 30 years and following emancipation. They continued to live among each other after the Civil War and still do to this day. 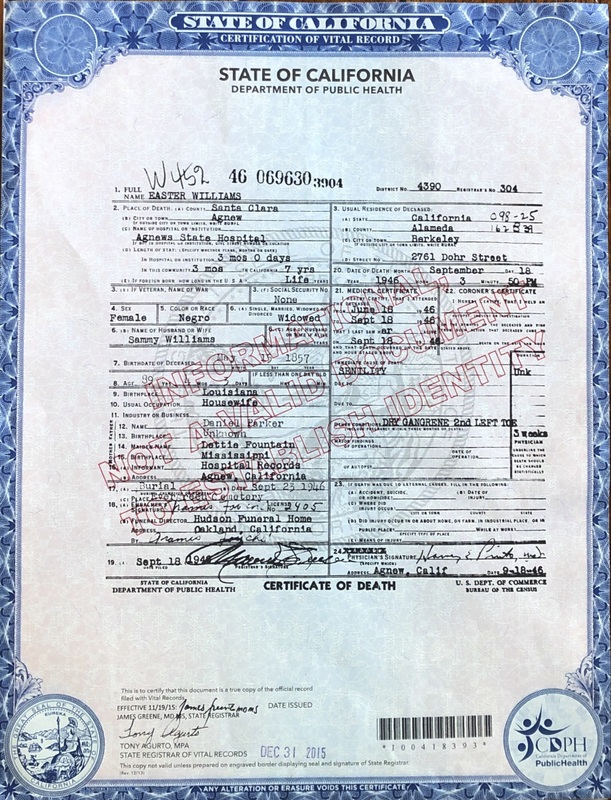 Death certificate for Delphine Hays Lewis, daughter of Patience Fountain and Taylor Hays. Source: FamilySearch. To date, using a proxy group of 9, I have verified more than 150 people whose ancestors were enslaved by the Trasks through genetic genealogy and traditional genealogy. I have tracked more than 50 transactions beginning as early as 1809 valued at more than $25 million today that document these extraordinary people. Some folks, who never lived to see freedom, were documented more than 15 times before they died. The earliest among the Trask 250+ were born before the founding of the United States. Some of them were born in Africa. The naming patterns are even still preserved in the Sagos, Randalls, Trueloves, Esthers/Easters, Spencers, Edmonds and more that bear the names of the earliest among our ancestors. There are so many remarkable stories to tell about this group and their descendants, and I’m just getting started!